﻿ Are You Sharing Other People’s Content? Here’s How to Do It Right » Red Mango Marketing! Let’s face it — continuously coming up with fresh content to keep your email readers, followers, and fans engaged isn’t easy. It may be part of the reason why you skipped sending your latest email newsletter, or why you haven’t committed to a consistent social media posting schedule. What if there was a way to ease your content creation burden and still get awesome results? That’s where content curation comes in. Put simply, content curation is the process of finding existing, relevant content and sharing it with your online audience. Rather than creating every new article, infographic, video, or blog post yourself, you can add other people’s content into the mix. Wondering how to curate content for your business? With thousands of new articles published every day, you might feel like sorting through and finding the right thing to share is the hardest part. Make things easier on yourself by using a tool like Feedly. 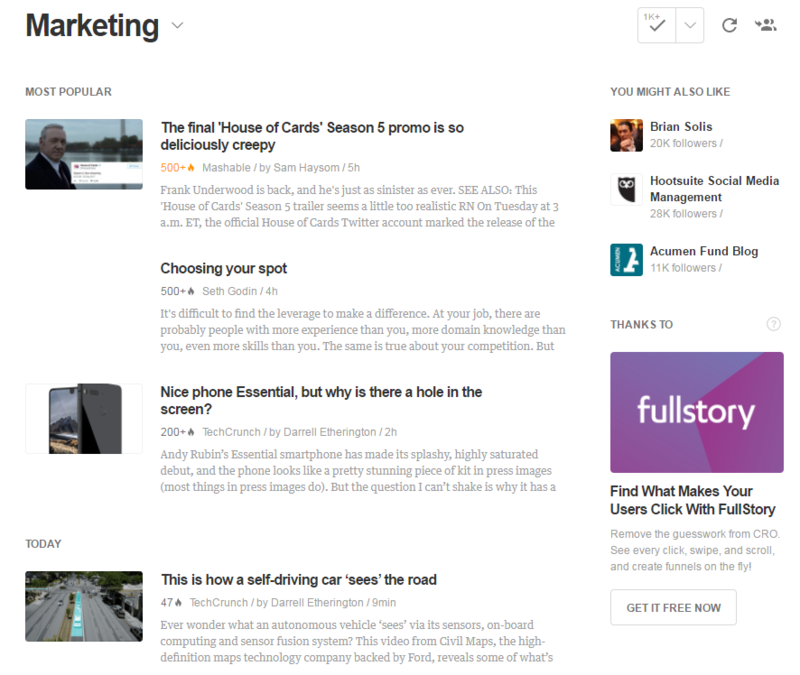 Feedly is an easy-to-use content curation tool that sorts through content for you. Rather than visiting sites individually, Feedly displays all content in a layout similar to your Facebook newsfeed. You can categorize the content easily and even download the app version to sort through articles from your mobile device. Even when you’re sharing someone else’s content, you can still make it personal by offering your own perspective. Ask a question: Instead of just sharing a link to an article or blog post, add a question to help engage potential readers. 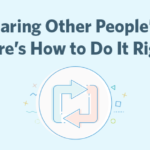 Summarize: Don’t just hit share and hope people will want to read the content. Add a few lines explaining the main idea or pointing to a key takeaway. Tip: You can easily curate content in your email newsletters using Constant Contact’s “Read More” feature. Highlight a quote: Pick a quote from the content you want to share and use it to pique interest and highlight why you think it’s a good read. Sharing someone else’s content can be a great way to start a relationship. Don’t miss out on this opportunity. Make sure you’re giving the original author or source credit by mentioning them whenever and wherever you’re using their content. Be sure to include the Twitter handle of the site and/or author that originally published the post. No matter what social media network you’re sharing from, mentioning the source means they’ll get a notification. When people see you’re using their content, there’s a much better chance they’ll interact with you! The great thing about sharing is that it’s contagious. Your readers will appreciate you’re sharing more than your own content — and they’ll perceive your business or organization as more trustworthy because you’re focusing on more than just self-promotion. 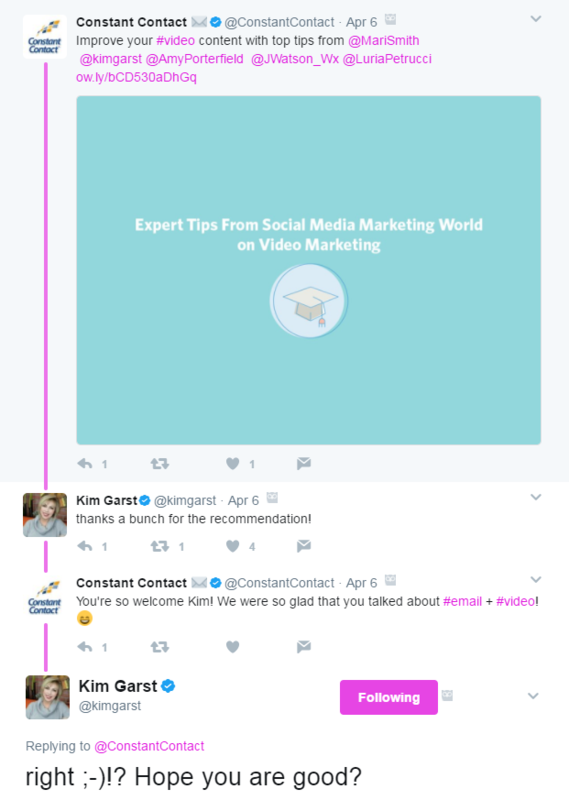 Be sure to ask others to share your curated content. That way you’ll get in front of an even larger audience and you’ll generate more views for the original source. Ready to start curating content for your business? Set a goal for yourself, even if it’s just sharing three posts a week. Striking the right balance between original and curated content will strengthen your online presence and help you create long-lasting relationships. Soon, when people are on the lookout for existing content to share, they’ll be visiting your page for ideas! Have you used content curation before? Tell us in the comments below what types of benefits or challenges you’ve experienced. The post Are You Sharing Other People’s Content? Here’s How to Do It Right appeared first on Constant Contact Blogs. This entry was posted on Tuesday, May 30th, 2017 at 8:00 am	and is filed under Business Tips, Content Marketing, Email Marketing, Fresh Insights, News & Updates, Online Marketing, Social Media Marketing. You can follow any responses to this entry through the RSS 2.0 feed. Both comments and pings are currently closed.